Autodl-irssi is a plugin for monitoring torrent IRC announce channels, downloads torrent files based on a user-defined filter, and then sends the torrent files to a local or remote torrent client. This plugin is installed on top of a ruTorrent client that can automatically load and process the torrent files that autodl-irssi will grab and works in over 44 trackers. Autodl-irssi will help you download and seed the torrents you like before the majority of the tracker users and will allow you to sustain great seeding ratio in your account and has become a very common tool in the community. The steps that are required to perform automatic downloads from your tracker are quite simple. Configure your tracker RSS feed, passkey and delay. 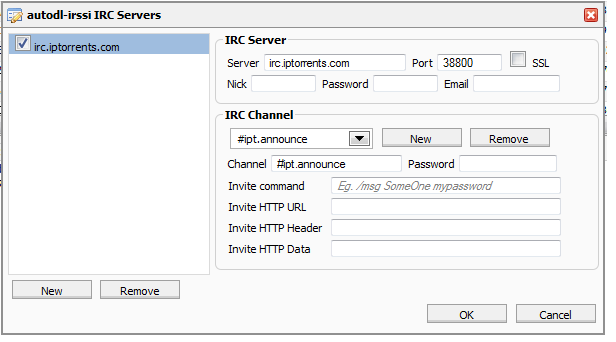 Configure the IRC channel you which to track for real-time torrent monitoring and connect to this IRC channel via autodl-irssi. Once configured properly, IRC channel is being monitored for new torrents being uploaded on my tracker, continuously. Every torrent announce is going through my filters, checking for a match. 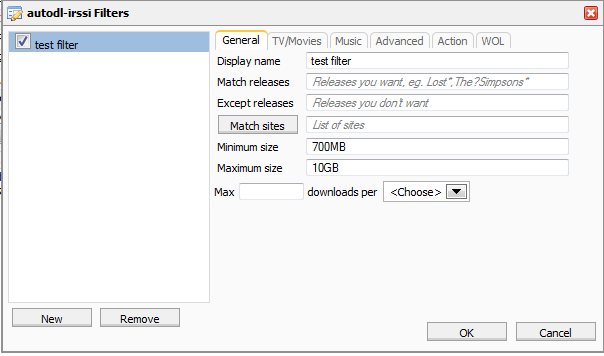 If there is a match, autodl-irssi will download the .torrent file via the RSS feed I have been pre-configured. The .torrent file will be processed according to the action we defined in the preferences and this will usually start the download process. Login to your ruTorrent and click on the autodl-irssi icon, (a green down arrow on the dashboard). 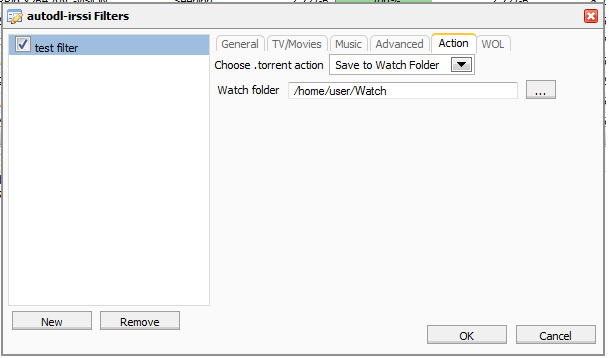 Your autodl-irssi and ruTorrent are preconfigured, so the default settings on this tab need to be left untouched. No editing can be done here. 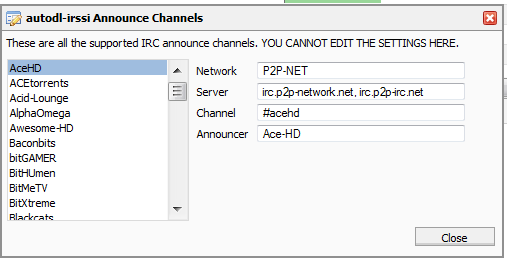 This is just a display of the announce channels for each server. This tab is solely for settings related to each tracker you use. These may involve saving passkeys or cookies which are needed to fetch the torrents. We strongly recommend setting a delay of 5 seconds, and force HTTPS (SSL) downloads to provide a more secure connectivity between ruTorrent and the tracker. 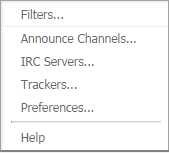 In this section you can set up the channels you wish autodl-irssi to join and monitor. 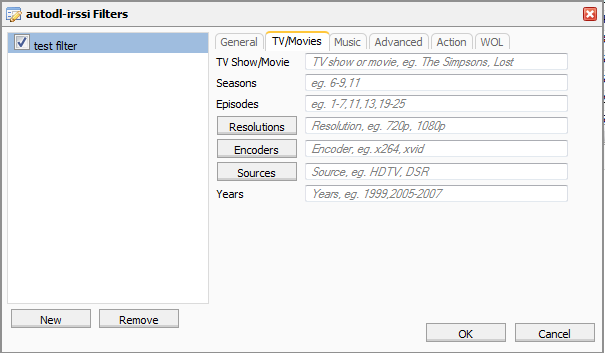 Channel Select – this allows you to select channels which are already configured in order to edit settings. Configure this tab if you want to automatically connect to an IRC server. 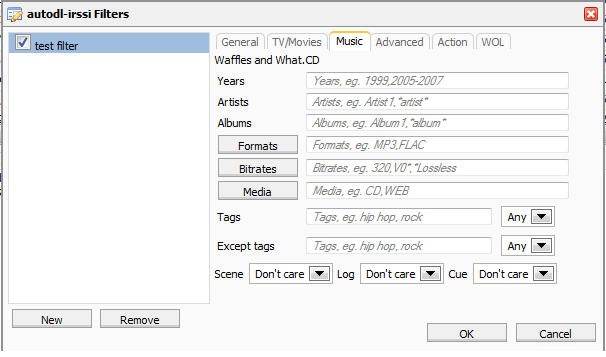 Skip or leave this tab unfilled since the RSS downloader is using ruTorrent. Leave this tab untouched unless you know what you are doing. Also, if you have further questions, please contact our support department by opening a ticket in your client area.